We had the honor of photographing Alyssa and German’s summertime wedding at Lioncrest at The Biltmore Estate. What a gorgeous day we had, far warmer than when we met on a blustery November afternoon for their Biltmore engagement session and certainly less rainy than when I met for Alyssa’s Biltmore Estate bridal session… Guess mother nature got the bad weather out of her system because all was perfect! 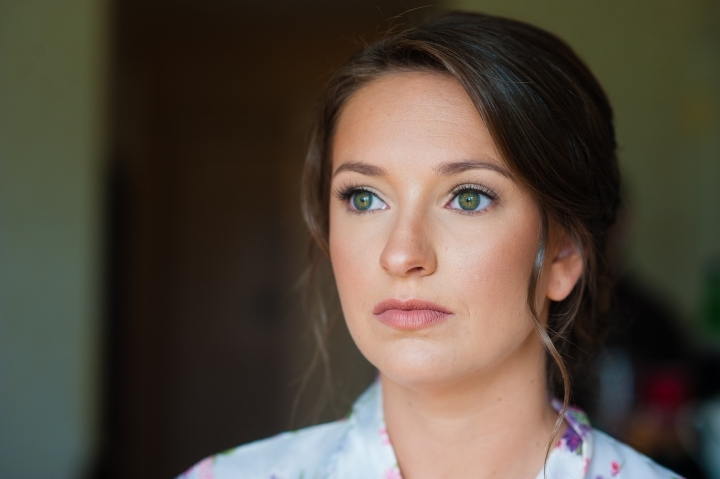 When I arrived at The Inn on Biltmore Estate Alyssa was in the makeup chair, she was a bundle of excitement and nervousness… Ready to get the party started and get married to German. Let me tell you, these two are perfect for each other… they have an amazing chemistry, sweet but also know how to make each other laugh and have no problems making fun of each other… That’s important in a relationship, not to take yourself to seriously. Anyways – These two were a blast to work with, all smiles throughout the day and into the evening as they partied with their guests on the dancefloor. I hope you enjoy some of our favorites from their day! A + G’s Bridal party was so fun to work with! What a fun time we had with these two and their wonderful family + friends! A huge thank you to all the wonderful Asheville wedding vendors who worked together to help make Alyssa + German’s day be as relaxing and fun as possible!! pintopinterest 2017… WHAT A YEAR. A great year! Many of you know that at the end of 2015 we took a giant leap of faith moving our busy, successful wedding photography business from the Northeast here to Asheville, North Carolina. I’m not going to lie… It hasn’t been easy. It’s been an incredibly challenging and humbling experience to have to rebuild AMW Studios essentially from the ground up… I mean not quite – we had a portfolio this time and we better understood the value in what we offer our clients… The experience, the adventure, the memories captured…but professionally we knew no one. We had no venues, planners or other photographers who would pass our name along to couples getting married here in Asheville. What has been amazing is to be greeted with open arms by the wonderful wedding community. It’s been fun to make connections, develop friendships and I’m so thankful to each and every one of you who we’ve gotten to know! 2017 was a year of growth here in Asheville. We photographed amazing weddings at beautiful venues throughout the Carolinas and worked with delightful, fun couples who are madly in love and up for adventure! We are so, so thankful to our amazing clients (many of whom by the time their weddings are over we feel fortunate enough to call friends) for helping our business flourish and trusting us to authentically tell their story. We are over the moon excited that 2018 is looking even more epic! We have triple the number of weddings that we had booked last year at this time. This year we will be photographing weddings at some of our favorite venues here in North Carolina, including The Vineyards at Betty’s Creek, The Biltmore Estate and Brown Mountain Beach Resort. And, we are discovering new venues we can’t wait to explore, including Asheville’s new wedding venue Chestnut Ridge and Highland Brewing Company among many others… We will also be heading north to our old stomping grounds to photograph a wedding in a gorgeous castle by the sea and again for a beautiful summer wedding on the Boston Harbor Islands! We still have a few 2018 dates available and plenty of 2019. Know anyone getting married and think we might be a good fit?! We hope you’ll tell them to say hello!! We’d love to tell their story! pintopinterest pintopinterest C + R’s engagement session began in Asheville’s funky + colorful River Arts District and ended up on the Blue Ridge Parkway to catch some beautiful fall foliage… It was awesome and we can’t wait to capture their wedding in Charlotte in April 2019! pintopinterest pintopinterest Alyssa’s bridal portrait session at the gorgeous Biltmore Estate was a highlight of 2017 and the photo above that was taken in the beautiful Conservatory on the estate’s property is one of my favorite images of the season! pintopinterest pintopinterest pintopinterest pintopinterest A + T’s Vineyards at Betty’s Creek Wedding was a highlight of our season. pintopinterest pintopinterest pintopinterest pintopinterest pintopinterest pintopinterest pintopinterest pintopinterest pintopinterest pintopinterest pintopinterest Horses have always been in my life… I rode and competed growing up and I’ve been excited to do a few equine portrait sessions here in Tryon, NC. Beginning in spring of 2018 I will be booking Equine Lifestyle Sessions here in Tryon and anywhere in WNC. More on that in a different post! pintopinterest pintopinterest Cathie + Tod’s Oskar Blues REEB Ranch wedding in beautiful Brevard, NC was filled with great people, lots of laughter, amazing weather and good food! pintopinterest pintopinterest pintopinterest pintopinterest pintopinterest pintopinterest pintopinterest pintopinterest pintopinterest pintopinterest pintopinterest pintopinterest This adventure engagement session, on the Blue Ridge Parkway near Blowing Rock at a place called Rough Ridge, was simply stunning! pintopinterest pintopinterest pintopinterest I traveled up to Roan Mountain for the first time to photograph these two cuties! Can’t wait for their wedding this spring at Chestnut Ridge Events! pintopinterest pintopinterest Hiking with this cutie up at Craggy Gardens to capture some senior portraits for her… We got caught in a massive rain storm… So we hid under a rock! pintopinterest pintopinterest We woke up before sunrise to meet T + M up at Black Balsam and got there just in time to catch the sun coming up… It was epic! pintopinterest pintopinterest pintopinterest pintopinterest Our year kicked off in March with a beautiful Chinese wedding. These two amongst the cherry trees made my day! pintopinterest pintopinterest pintopinterest pintopinterest pintopinterest pintopinterest pintopinterest K + E’s Wedding at The Fields at Blackberry Cove was gorgeous…full blog post soon! pintopinterest pintopinterest pintopinterest pintopinterest pintopinterest pintopinterest pintopinterest A + S rocked their late fall engagement session at The Biltmore Estate. We can’t wait for their wedding this spring at The Vineyards at Betty’s Creek. pintopinterest pintopinterest pintopinterest pintopinterest pintopinterest pintopinterest pintopinterest pintopinterest pintopinterest pintopinterest pintopinterest pintopinterest pintopinterest pintopinterest pintopinterest 2017’s a wrap, folks, but we are so, so ready for all that 2018 has in store for us! Bring it! I’m back today with the 2nd part of Abby and Tripp’s colorful Vineyards at Bettys Creek Wedding! What a fun day this was to capture. Full of laughter and love. It was my first time photographing a wedding at Betty’s Creek and I was simply blown away! The property is so peaceful, tucked up in the mountains in a way that makes you feel as though you and your guests are the only living souls. The buildings on the property each have such character… See my other post from my original visit to Vineyards at Betty’s Creek for more on the history of the buildings and property. The property offers multiple locations to have your ceremony, Abby and Tripp chose to say their vows under a beautiful large old tree next to the honeymoon cottage. After the ceremony guests made their way past the vineyards and up to the newly built reception lodge. Upon arrival they were greeted with stunning mountain views. pintopinterest pintopinterest pintopinterest Could your dinner view get any better than that?! pintopinterest pintopinterest pintopinterest Abby and Tripp worked together with the talented Wendy with Weddings by Wendy and Lauren at Sweet Stem’s Flower Bar to create a gorgeously designed wedding reception. Jewel tones alongside lot’s of earthy greens made up the tabletop decor. Place settings were adorned with one beautiful fern leaf atop a collection of both square and round tables. pintopinterest pintopinterest pintopinterest The amazing and, most importantly delicious, food was created by Kim and her fabulous team at Celine and Company Catering based in Asheville. pintopinterest pintopinterest pintopinterest pintopinterest pintopinterest pintopinterest Once guests were seated toasts began… They were a perfect mixture of funny, thoughtful and sweet. pintopinterest pintopinterest pintopinterest pintopinterest pintopinterest After the toasts and parent dances we were able to sneak Abby + Tripp out for some couples portraits by the Dunkard Barn and vineyards! pintopinterest Again with the shooting through things… LOVE pintopinterest pintopinterest pintopinterest These two are so in love, you can see it on their faces everytime they’re next to each other. pintopinterest That view! I’m so excited to head back to the Vineyards at Betty’s Creek this season for a couple more weddings! pintopinterest pintopinterest pintopinterest Crystal Clear kept the dance floor rocking! pintopinterest pintopinterest pintopinterest pintopinterest pintopinterest pintopinterest pintopinterest pintopinterest When the light was just right to get that beautiful blue sky behind the great chandelier on the balcony of the reception lodge I couldn’t resist pulling A + T out for a little impromptu dance… I think it was worth it!!! pintopinterest pintopinterest pintopinterest Abby and Tripp exited with rose petals falling around them! It was beautiful! pintopinterest Congratulations Abby + Tripp – Thank you so so much for trusting us to document your day! pintopinterest This colorful summertime wedding at The Vineyards at Betty’s Creek was such a joy to photograph! Tucked up in the mountains west of Asheville The Vineyards at Betty’s Creek boasts lush green landscapes with beautiful vineyards, flower gardens and the most elegant mountain cabins + lodge to host your family + friends… It’s pretty much a photographers dream! Abby and Tripp along with the help of their wonderful Asheville wedding planner; Weddings by Wendy, planned this beautiful mountain wedding that was full of joy and laughter! You might remember these two from their absolutely freezing wintertime engagement session at Dupont State Forest! I think we were all relieved that it was a bit warmer on their wedding day 🙂 pintopinterest pintopinterest All of Abby’s details were stunning including her gorgeous bouquet by the talented Lauren at Sweet Stems Flower Bar, located right in Franklin NC pintopinterest Abby’s beautiful wedding dress is easily one of my favorites from the season. It was so classically elegant with a few unique touches that were stunning – like the two bead strings that crossed in the back and a wonderfully flowy skirt that Abby rocked! pintopinterest pintopinterest Abby and her girls got ready in the Honeymoon Cottage at Betty’s Cellar which has fabulous light and oh so much character! I also have to point out how much space the cabin offer’s which makes such a difference when you have a larger wedding party! pintopinterest pintopinterest pintopinterest Moments before first look… I think they were both simultaneously a bit excited and nervous. pintopinterest The outside of the Honeymoon Cottage is just gorgeous for portraits and there is a cute staircase that leads down to a patio in front of the cottage. 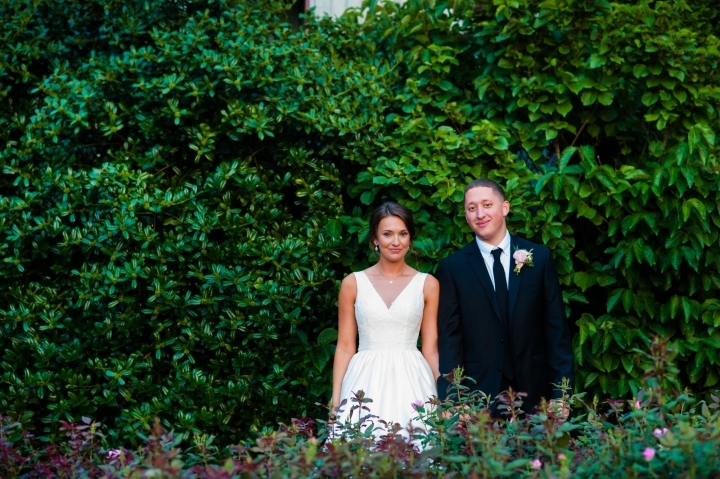 This is where we chose to do Abby + Tripp’s first look. pintopinterest A huge thank you to my talented second shooter Mabyn Ludke who captured the two images above along with other images sprinkled in this post! pintopinterest pintopinterest Gentlemen take note…Tripp brought a gift for Abby to open during first look…. It was adorable. pintopinterest pintopinterest pintopinterest These two are the sweetest.. The light by the cottage is perfect… All THE TIME! From a photographers perspective this is amazing! pintopinterest pintopinterest pintopinterest There are so many great buildings and landscapes at Betty’s Creek we always like to block in plenty of time for photo’s either before the ceremony (first look is the bomb!) or directly after! pintopinterest The bridesmaids bouquets were so colorful and beautiful – they went perfectly with their gorgeous bridesmaid dresses! pintopinterest pintopinterest I always like to take 5-10 minutes for some bridal portraits before the ceremony while hair + makeup is fresh! Abby looked absolutely stunning and made my job super easy!! pintopinterest pintopinterest pintopinterest Once we were done with bridal portraits outside Betty’s Cellar Abby’s dad made his way into the cottage to see his daughter!! Love his beaming smile as her see’s her in her wedding dress for the first time! pintopinterest This wedding is to good to rush through so I will be sharing their beautiful wooded ceremony, more couples portraits and their fabulous reception on our blog in the next few days! A huge thank you to the awesome team of vendors and of course to Abby + Tripp who trusted me to capture their day! !